Gracie Morumbi offers Brazilian Jiu-Jitsu instruction for individuals, families and law enforcement in the Ventura and Los Angeles County areas. They offer various types of Martial Arts and fitness programs including kickboxing, kettlebells, Brazilian Jiu Jitsu and self defense. Locations at 1182 E. Thousand Oaks Blvd, Thousand Oaks, (805.496.1610) and 2160 E. Thompson Blvd, Ventura (805.643.7717). Visit www.GracieMorumbi.com to learn more. Cañada Larga Ranch is a 3500-acre equestrian wonderland, featuring two lit covered arenas, a gigantic outdoor arena, dressage arena, round pen, beautiful barns, 50 miles of private riding trails with astonishing panoramic views and a spectacular pasture program. We provide exceptional, full-service equine boarding with custom programs to suit your horses’ individual needs. Only minutes from the beach and downtown Ventura, yet a world away into equestrian paradise, Cañada Larga Ranch offers everything a boarding client could dream of - with even more exciting plans to come in the future! Visit www.facebook.com/canadalargastables or call 805.648.3010 for more information. Located at 3501 Cañada Larga Road, Ventura. Located near the Ventura Harbor at 1575 Spinnaker Drive, 105B #66, Hokuloa Outrigger Canoe Club has a diverse membership of all ages and abilities and offers competitive paddling for both adults and kids. Hokuloa's mission is to promote and develop the sport of amateur outrigger canoe paddling through structured athletic programs, races, fitness training and outreach to enhance public support. Hokuloa is a member club of the Southern California Outrigger Racing Association and the host of the annual Ventura Channel Challenge race. For more information, visit www.hokuloaoutrigger.com. 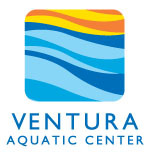 The City of Ventura’s Aquatic Center is located at Ventura Community Park, 901 S. Kimball, at Telephone Road. This is a beautiful state of the art facility, containing a 50 meter competition pool with two 1-meter and two 3-meter diving stands, a water playground pool, 2 water slides and a recreational pool. Pools are heated to about 80 degrees! They have dressing room areas, picnic areas, lessons, classes, group rates and birthday parties there. More information at www.cityofventura.ca.gov/612/Aquatics or call 805.654.7511 for more information. Single entry fees as of June 2018 are $8 for ages 3 to 61, $5 for 62+ and free for 2 and under. Special "splash passes" available for families and multiple visits. Fit4Mom is a fitness program designed for moms in all stages of motherhood. It was created in 2001 as Stroller Strides and has now over 1,300 locations nationwide. It is a total body workout that incorporates power walking, running, strength, toning, songs and activities all while having your babies and toddlers in the stroller. Learn more by visiting fit4mom.com. 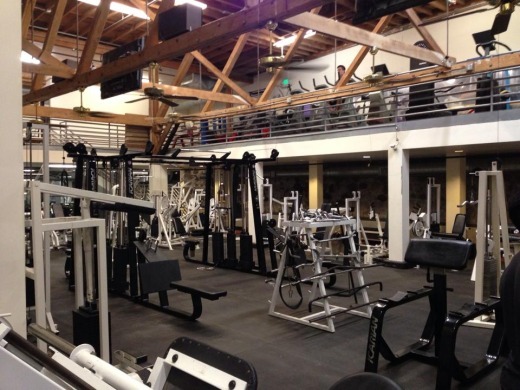 KO Gym at 20 North Oak Street in Ventura opened in January 2014. 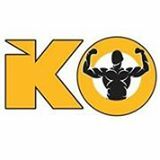 The gym features MMA training, Zebra mats, heavy bags, speed bags, Olympic lifting, over 20,000 lbs of Ivanco and standard plates, dumbbells up to 200 lbs, lots of cardio equipment and much more. The gym also features a 24 hour keyless entry system open 365 days a year! For more information, visit kogymca.com, Facebook page at www.facebook.com/kogymca or call 805.419.0009. V-Fit Ventura Fitness Studio offers group fitness classes, private pilates sessions and personal training in a spacious facility. The studio opened its doors on January 12, 2013. The studio has a 400 sq ft bamboo floor for group classes and a 400 sq ft pilates and personal training studio. Group fitness classes include Booty Barre®, TRX Suspension Training®, TRX RIP Trainer®, Yoga, and Pilates Mat. V-Fit is located at 4561 Market Street, Suite C, in Ventura (next to Surf Brewery),For more information, visit www.vfitstudio.com or call 805.535.8822. Inside Track Running Club is a club for runners, walkers, triathletes or anyone who would like to meet fun and athletic people. We offer club runs, track workouts, socials, fun running events, clinics and discounts at Inside Track. All ages and abilities are welcome. Visit insidetrackventura.com/index.php/itrc to learn more. Serving Ventura County since 1976, Inside Track carries all the top brands and its knowledgeable staff are ready to serve you. The store is located at 2437 Harbor Boulevard in Ventura. Visit www.insidetrackventura.com or call 805.644.5555 for more information. Cardio Barre is a high energy, no impact, fat burning, muscle sculpting sensation...done at a ballet barre! This is a no impact workout. There is no punching, no kicking, no jumping up and down. Exclusively high-energy exercises that lengthen and strengthen your muscles as you burn fat. Cardio Barre Thousand Oaks is located at 1772 E. Avenida de los Arboles, Unit Q at the Oakbrook Plaza, near the DMV. They offer morning and evening classes 7 days a week. Learn more at cardiobarre.com/studios/thousand-oaks-ca or by calling 805.492.1312. Cardio Barre Ventura at 4255-11 Main Street. Visit cardiobarre.com/studios/ventura-ca or call 805.630.0871. A professional bellydancer from Ventura County, Kali Sundari has been entertaining audiences throughout Southern California since 1997. Kali is a joyful and spirited dancer. Her warmth, self-expression, strong technique, years of performing experience, and continual study of bellydance make Kali a consummate professional. Her ability to connect with her audience makes her performances exciting, uplifting, and memorable. You can see Kali perform at The Greek at the Harbor in Ventura or hire Kali for your special occasion. Currently, Kali teaches bellydance classes in Thousand Oaks, and Ventura as well as other locations. Visit www.kalisundari.com/bellydanceclasses for class details. More information at www.kalisundari.com or call 818.445.9601.